Dr. Mike Nehl has been practicing dentistry in Belle Fourche, SD since 1984. In 2007, his son, Dr. Matt Nehl joined him in the family practice after completing his dental degree from the University of Nebraska, School of Dentistry, Lincoln, NE. The highly trained Nehl Dental team of certified dental hygienists, assistants and office staff work together to help patients feel comfortable and to ensure all questions about care, insurance and services are answered. In addition to the latest in technology and Dr. Matt’s advanced certification in implants, the father and son team continue to practice with the same traditional manners, values, and personal attention patients have come to recognize as hallmarks of Nehl Dental. “Many of our patients and their families have been coming here since 1984, and they continue to expect both quality and affordable dental care from a trusting dentist. Individual attention and personal care for every patient means that we always take the time to really listen and explain procedures. This allows us to provide the highest standard of care to all of our patients,” says Dr. Mike Nehl. Dr. Mike and Dr. Matt and everyone with the Nehl Dental Team invite you and your family to experience the highest in quality dental care using the latest in technology in a comfortable, relaxed environment. 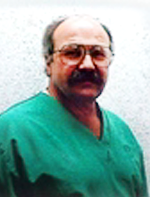 Dr. Mike Nehl is a 1984 graduate of the University of Nebraska Dental College. He started his career by associating with Dr. Carl Moore in July 1984. Nehl Dental moved to its present location in 1988. He has always stated that “When I quit learning I will quit practicing dentistry”. 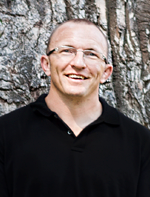 Dr. Matt Nehl received his Bachelor of Science degree in Biology from Black Hills State University in 2002, and his D.D.S. degree from the University of Nebraska, School of Dentistry, Lincoln, Neb., in 2007, graduating “With Distinction”. He earned the distinction of Mastership status from the International Congress of Oral Implantologists (ICOI) in March 2013. ICOI is a non-profit worldwide dental educational organization. It is dedicated to communicating scientific knowledge and improving the clinical practice of dental implantology. There are currently 213 dentists of the 25,000 worldwide members and associates of the ICOI that are at the Mastership status. He joined his father, Dr. Mike Nehl, in the practice of dentistry in 2007. Dr. Nehl has been married to his wife Sara, a Pierre, native, since 2002. They have three children.